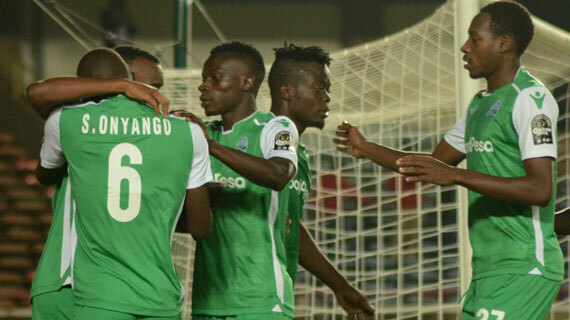 Kenyan Premier League champions Gor Mahia have confirmed the signing of defender Pascal Ogweno from Kariobangi Sharks and striker Nicholas Kipkurui from Zoo Kericho as they continue to bulk up for the new season. Ogweno had his contract ending at Sharks and chose not to renew it, instead penning a three-year deal with the record Kenyan champions while Kipkurui who scored 13 league goals for Zoo this season joins K’Ogalo on a four-year deal. “We are in the process of forming a good squad for next season and Nicholas Kipkirui becomes the latest addition to our team. We hope he will continue with the scoring prowess he had at Zoo Kericho. He can only get better at Gor Mahia,” Gor CEO Lordvick Aduda told the club’s official website. The two now brings Gor’s new acquisitions to four, having signed left back Shafik Batambuze from Tanzanian side Singida United while midfielder Kenneth Muguna returns to the team after a short stint at Albanian side KF Tirana.